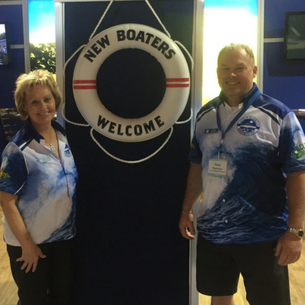 Thank you to everyone who dropped by to say hello during the 60th annual Toronto International Boat Show. 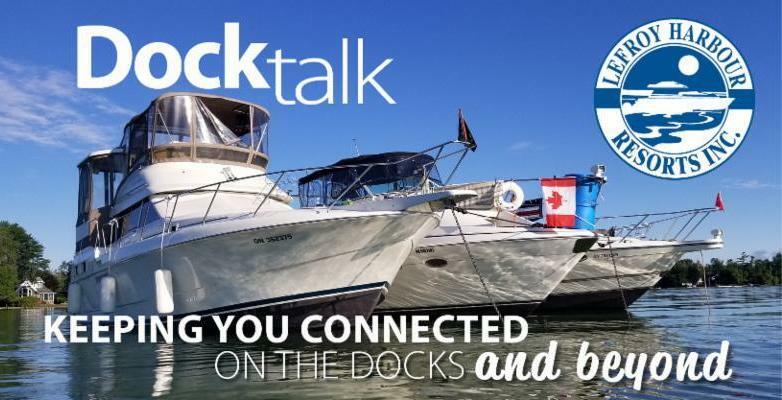 We always enjoy reconnecting, while putting a little summer in our winter! The Lefroy Harbour Resorts Family Winter Golf Classic, February 17 , offers another opportunity to reconnect as we patiently await launch in April. ﻿We look forward to seeing everyone for a last bit of winter fun, and are excited to get the 2018 boating season started! The countdown is on for the Lefroy Harbour Resorts Family Winter Golf Classic , Saturday, February 17! Get ready to tee off for a round of winter golf (starting at 10am); skate on an outdoor rink and participate in other winter activities, weather permitting; roast marshmallows on an open fire; enjoy a complimentary outdoor barbecue with hot and cold refreshments (at noon); and reconnect with boating neighbours. Welcome aboard to all new boaters joining us at Lefroy Harbour and Kon Tiki this year! 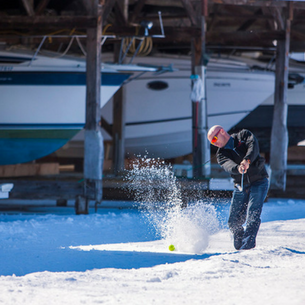 We hope you'll join us at the Winter Golf Classic, February 17, to meet some of your new boating neighbours! All three Ranger Tugs floor models were sold at January’s Toronto Boat Show, and four additional boats ordered for delivery this spring! James, shown here, likes Ranger Tugs so much that he bought his second! The R29CB was our top-selling model, with sales of the new R27 climbing steadily. If you are interested in getting into a Ranger Tug this spring, please contact Paul Cornwall as soon as possible! 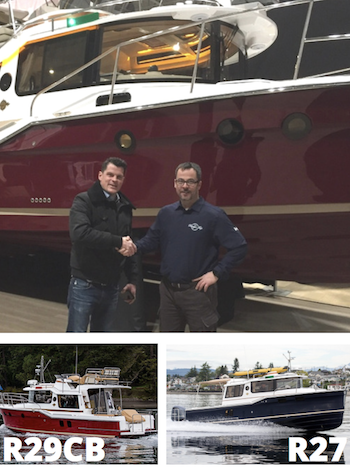 Click here to learn more about Ranger Tugs, and here to see our current inventory of brokerage boats. 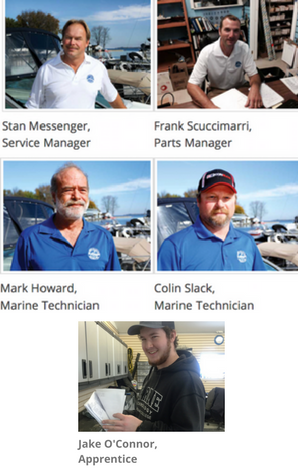 To ensure you're ready for a trouble-free 2018 boating season, our skilled service team has distributed service letters suggesting pre-launch work for your boat. Please contact them asap if you have any other concerns or issues encountered last summer that need addressing. Questions? Contact the service team at service@lefroyharbour.com or parts@lefroyharbour.com . 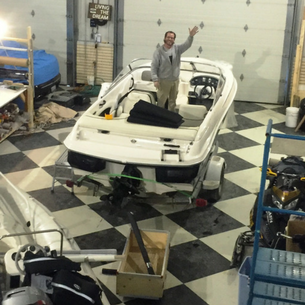 Offering boaters of Lefroy Harbour Resorts the convenience of year-round, hassle-free, onsite repairs and follow-up, plus inside storage, Craig and crew, Gerry, Paula and Kelly at Canadian Yacht Tops are ready to assist you with fast, professional services to make your boat look new again. Spring services include windows and enclosures, tonneau covers, custom upholstery, canvas tops, carpeting and flooring. 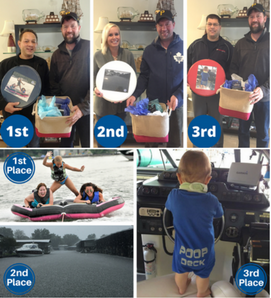 Congratulations to the winners of our 2017 Lefroy Harbour Resorts Photo Contest! First Place honours go to Peter Lyn; 2nd Place, Aimee Gore; and 3rd Place, Ryan Gingerich. See Facebook for our 2017 contest winners and honourable mentions album and our 2017 entries album ! Watch for details on our 2018 Lefroy Harbour Resorts Photo Contest, starting in May! 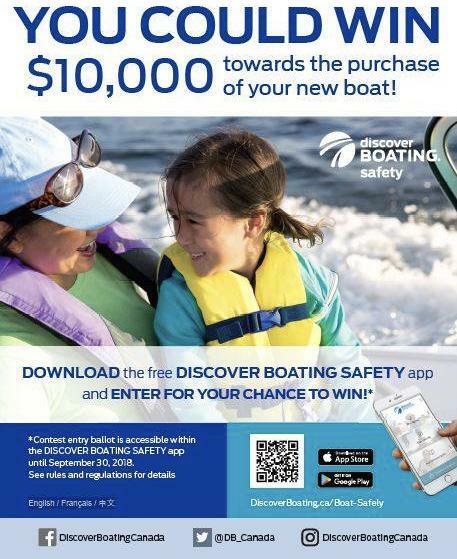 Download the FREE Discover Boating Safety app and enter for your chance to win $10,000 towards a boat purchase made after January 12 (the contest entry ballot is accessible within the app until September 30)! The app has all the info, tips and tools needed for boating safely in Canada, including navigation buoys, checklists and emergency contacts. It is free (English / Français / 中文) from the Apple and Google Play stores .